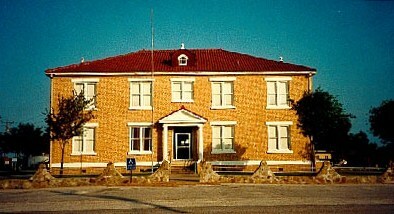 McMullen County Courthouse, Tilden, Texas. 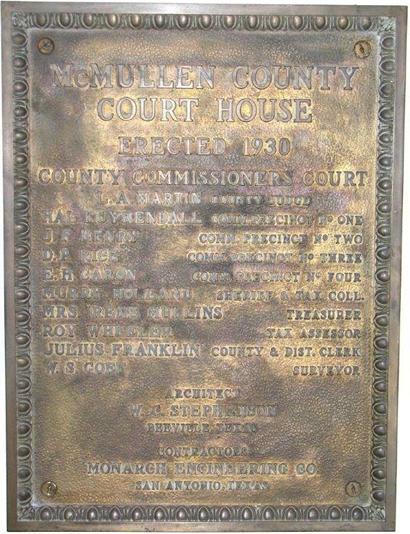 McMullen County was established from parts of Bexar, Atascosa, and Live Oak counties in 1858 and named for Irish empresario John McMullen, who failed in his attempts to settle the McMullen County area in the late 1820s, but founded the first San Patricio County seat of San Patricio in 1831. In 1858, settlers in McMullen County built some dwellings and roads around where Leoncita Creek and the Frio River came together and formed the town of Rio Frio, later named Dog Town in the early 1860s. (One explanation of this name holds that drunken cowboys on a shooting spree left about fifteen dead dogs on the street, but the name could also be attributed to the number of dogs used in the area to herd sheep and cattle.) The name of the town was changed again to Colfax in 1871. This was the county�s first permanent settlement. 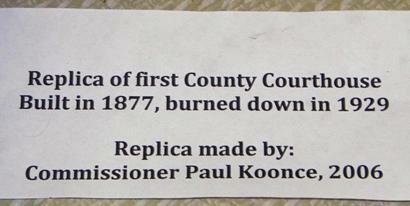 In 1862, the county was organized but later abandoned because of the rampant crime in the county. By the early 1870s, many ranches had been established, but continuous violence and criminal activity kept most people away. 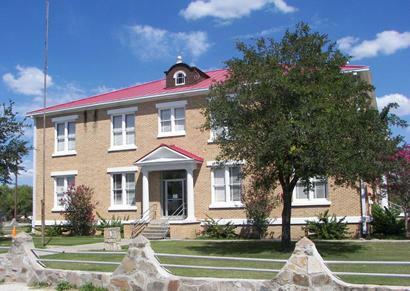 After an earlier attempt in 1873, McMullen County was organized again in 1877. That same year, Colfax was chosen as the county seat but the name was changed to Tilden, in honor of Samuel Jones Tilden (nicknamed �Whispering Sammy,�) who ran for President on the Democratic ticket in 1876 and lost to Rutherford B. Hayes in one of the most controversial U.S. Presidential elections. 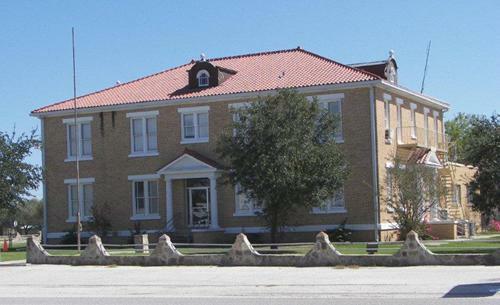 The first courthouse for McMullen County was built in 1877. 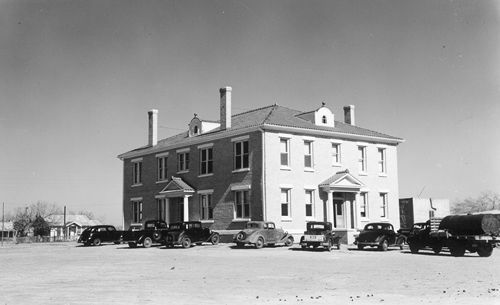 (The Texas Historical Commission lists the date for the first courthouse as ca. 1870.) It was a two-story wood frame building with a hipped roof and a staircase that led to a second floor porch. 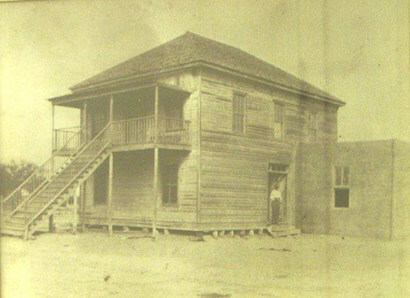 This courthouse burned down in 1929 and was replaced by a second courthouse in 1930 which is still in use today. 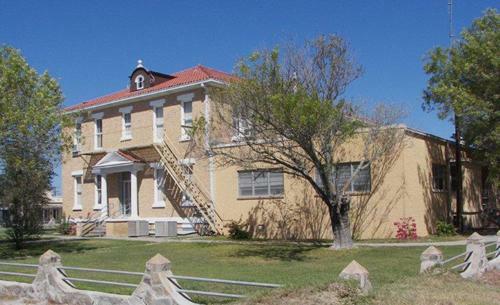 The second courthouse was designed by Beeville architect William Charles Stephenson, Jr. in a Classical Revival style with Mission style influences. 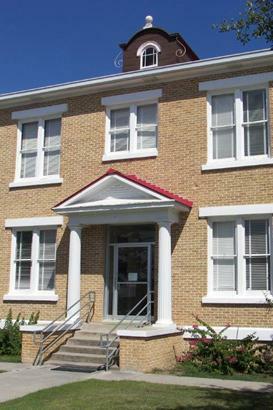 The rectangular structure is built of brick with a limestone water table, window lintels and sills. The entrances on the north, south and west sides have pedimented porticos supported by fluted Doric columns. The hipped roof is covered with red clay tiles and has curvilinear dormers in the center of each side. The building�s original corbeled chimneys have been removed and an addition was built to the rear (east side) of the building in 1964. 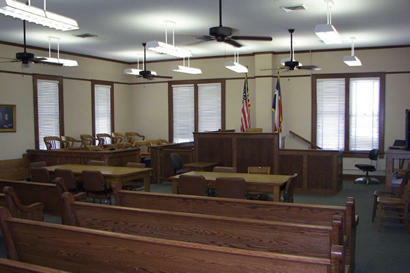 The courthouse received further renovations in 1998. County history and biographical information from The Handbook of Texas Online. The Courthouses of Texas by Mavis P.Kelsey Sr. and Donald H. Dyal, 2nd edition, 2007. 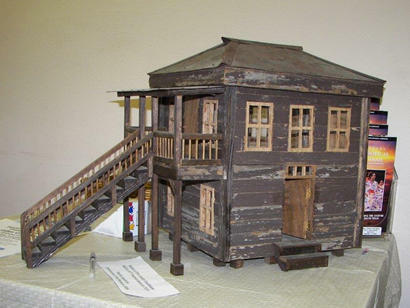 Replica of the 1877 courthouse on display in the current courthouse.